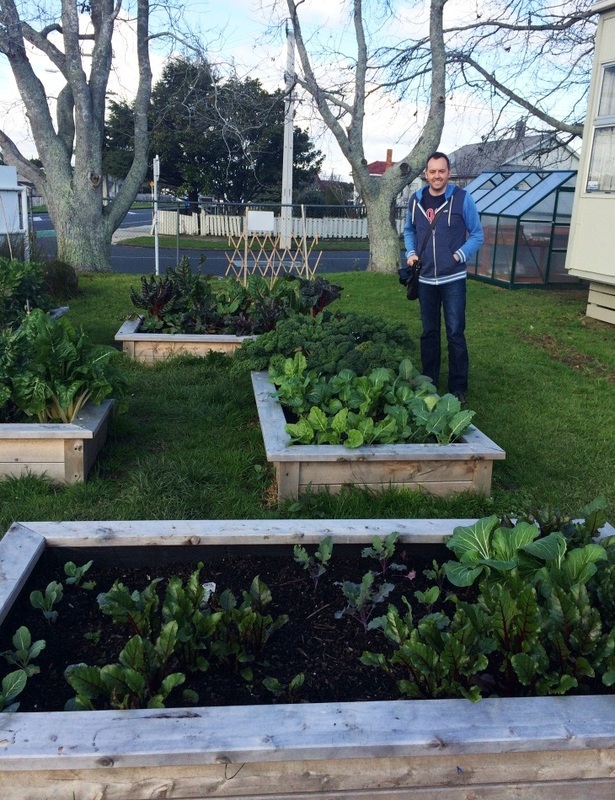 Finally, after much searching, I found a wonderful volunteer project in New Zealand. Due to the dates I’m here, and most requirements by local agencies and organizations that I commit six-months to their project, well, it’s been a challenge. So while I didn’t get hands on this time, Paul Dickson from Head2Head Charity was nice enough to take me on a tour of one of their projects and tell me more about the organization which he founded. On the day Paul and I met he took me to meet the folks at Papatoetoe-West School, an elementary school catering mostly to students (ages 5-11) from lower-income households. It was there that I met 10-year-old Oscar who, along with some friends, proudly showed me the mock-up of a hen-house which he designed. Oscar’s class was challenged to design the perfect hen-house (also known as a chicken coop) and draw the plans. 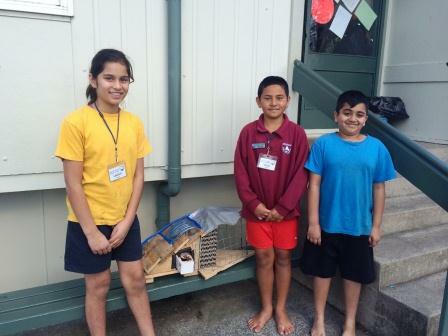 The next step was to go home and gather materials lying around and build their hen-house. Oscar worked hard gathering materials and working, through trial-and-error, to construct his house. His materials included an empty cocoa powder carton, plastic from a water-bottle, wood, a tin can, and discarded plastic tubing. The kids all brought their hen-houses to school, voted for the best design, and Oscar’s won. Once the school can gather the materials, including obtaining some donated lumber, they’ll ask the school’s grounds-keeper to build it to house the hens which they hope to get. Oscar’s hen-house design includes a rainwater gathering system, a comfortable indoor area, and even an outdoor play area with a retractable cover so, as Oscar explains, “the hens can play outside even when it’s raining!” It’s important for hens to play. 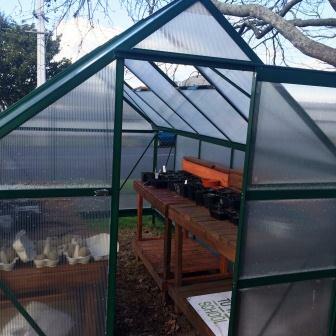 This is all part of a national environmental studies program, called Enviroschools, which Papatoetoe joined approximately a year-and-a-half ago. 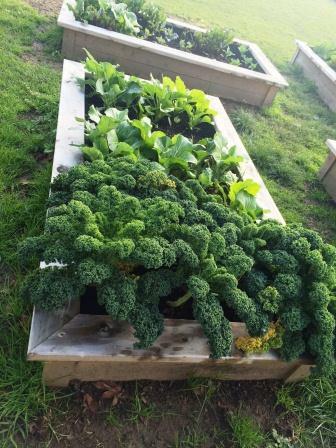 With the help of Head2Head Charity, the school now has garden-beds located around the grounds, as well as a greenhouse, gardening equipment, a composting box and more. The kids spend time tending their gardens each week while learning about horticulture. “Kids love getting their hands dirty,” says Paul Dickson, founder of Head2Head Charity. Head2Head raises money to sponsor deserving and under-supported organizations and projects. It began in 2012, when Paul organized a simple fund-raising walk to combat childhood poverty. Paul was working in the Geo Thermal field when he and some work colleagues decided to organize the 125km walk around Manukau Harbour in Auckland, New Zealand. With the success of the first walk, Paul became hooked on being a do-gooder and quit his job to establish Head2Head Charity. The next year, in order to draft more participants, the 125km was changed to a relay. Thus far, the Head2Head Walk has raised over NZ$40,000 by over 150 participants. And Papatoetoe has isn’t its only benefactor. Head2Dead is committed to helping with creative solutions to child poverty in New Zealand wherever they may be. 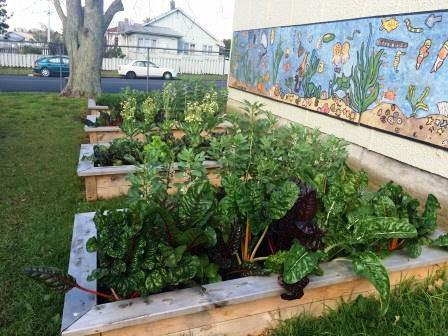 The next step for the Papatoetoe-West School, its Garden-to-Table program, will be implemented soon. A kitchen is being built and the kids will learn how to harvest their fruits and vegetables, and prepare and cook them. Not only will they learn about cooking, but also table manners and social-skills. Head2Head could sure use some volunteers to help with this part. As Paul says, “There’s almost no point growing all this stuff if there’s no one around to help teach them what to do with it.” As well as volunteers, donations of kitchen equipment will gladly be accepted. It’s clear to see the pride the kids take in their gardens. Gardening is just a part of what the kids learn in this program. They also learn patience, a sense of ownership, teamwork, and follow-through. When I asked Paul what Head2Head needs most he told me, for now, it’s volunteers. While Paul quit his job to establish Head2Head, he takes no salary (other than the 100 hours he’s billed at $10 per hour to cover a small part of his time), as he wants as much as possible to go to the projects. But he’s a one-man show and could really use some helping hands. Donations of cash and supplies would also be fantastic. Hubbard Foods has become a corporate sponsor for the Head2Head Charity Walk but there is room for many more. Head2Head is the little fish in a big pond of much larger charities. What sets it apart from many is that you can actually see the difference your money and assistance are making. Another difference is that Head2Head is committed to two major issues; childhood poverty and environmental education. It’s a worthy charity which could use, and would greatly appreciate, any help offered. Enter your email address to subscribe to this blog and receive notifications of new posts by email. I promise not to send you junk.